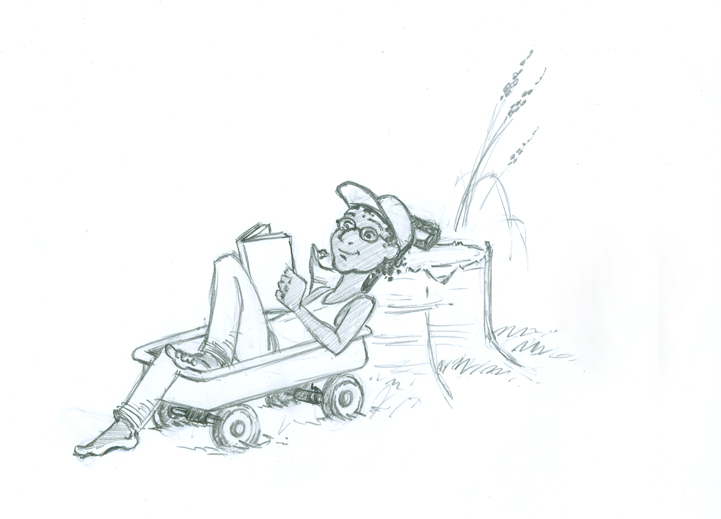 I love to read outside, and I love going around barefoot, and I have those glasses he’s wearing, so I can see a lot of myself in this image. I think the wagon is probably a nostalgic, residual image from all the Calvin and Hobbes strips I’ve read, because, despite the fact that I didn’t personally do much with a wagon, I associate the idea of a wagon with summertime. Once I had finished painting this image, I decided that the tall grass I had drawn around the stump was unnecessary and visually distracting, so I removed it with Photoshop. If I had it to do over again, I would probably make the stump a little darker behind the wagon wheel so that they don’t blend together as much, but overall I’m pleased with the result. Thanks for reading! 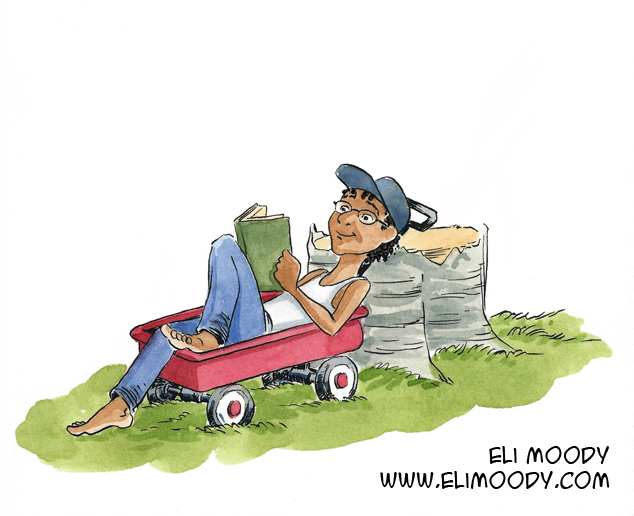 This entry was posted in illustration and tagged boy, eli moody, humans, illustration, pen and ink, pencils, reading, stump, wagon, watercolor. Bookmark the permalink.